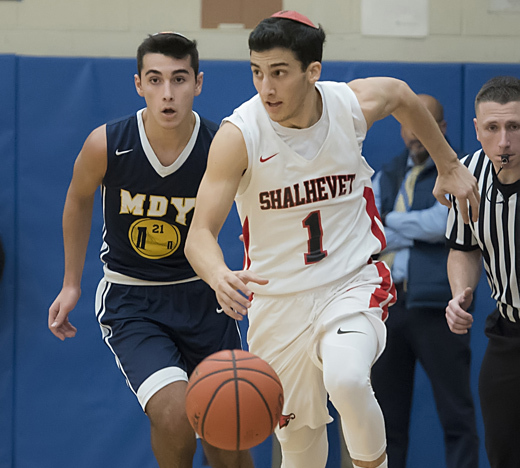 The 28th Annual Red Sarachek Basketball Tournament, from March 14–18, 2019, culminated with the reigning champions Shalhevet High School’s Firehawks defeating Magen David Yeshivah High School’s Warriors, 55-49. The Firehawks came back from a six-point deficit at halftime to win their second championship in a row. Last year they beat the Valley Torah Wolfpack in overtime, 53-51. 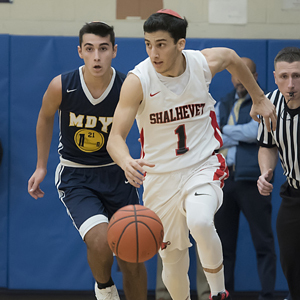 Twenty yeshiva high schools from across the country participated in the annual tournament, named for the legendary Bernard “Red” Sarachek, YU’s former men’s basketball coach, and hosted by the Marsha Stern Talmudical Academy/Yeshiva University High School for Boys. Sarachek is North America’s most prestigious Jewish high school basketball competition. This year’s tournament included a lively Shabbaton to help the young all-stars learn more about YU’s unique educational environment.